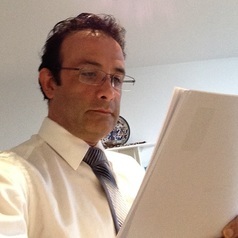 Professor Valadkhani graduated from the University of Queensland in 1997 and held full-time permanent positions at the University of Newcastle, Queensland University of Technology (QUT), the University of Wollongong (UOW) and the University of New England (UNE). He joined the Swinburne Business School in March 2014. His recent research interests lie in Australian macroeconomic policy issues, asymmetric pricing behaviour of Australian bank and non-bank financial institutions in the retail lending market, and retail petrol pricing. He has published more than 75 articles in prestigious journals such as Applied Economics; Energy Economics; Energy Policy; Economics Letters; Economic Modelling; Economic Record; Journal of International Financial Markets, Institutions & Money; International Review of Economics and Finance; Journal of Industrial Relations; Journal of Policy Modeling; and Small Business Economics. This composite ranking is based on more than 34 different research criteria (including bibliographic data, citation analysis and popularity data).